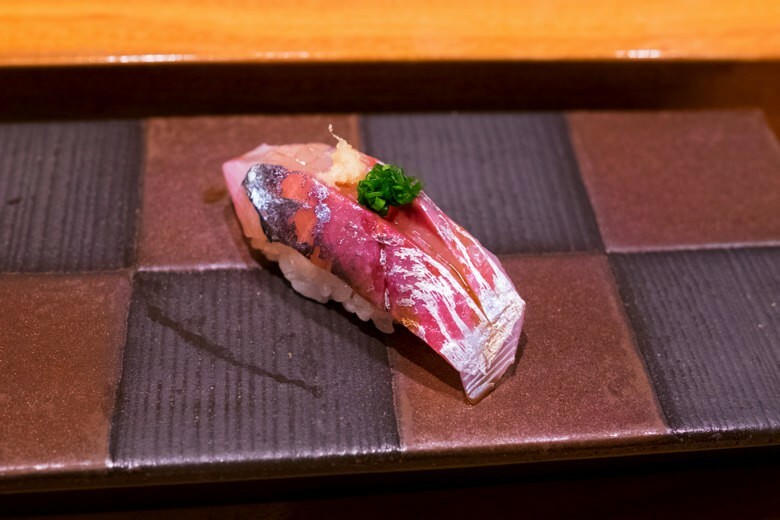 Tsukiji Aozora the 3rd in Naha is our best affordable sushi bar in Naha. 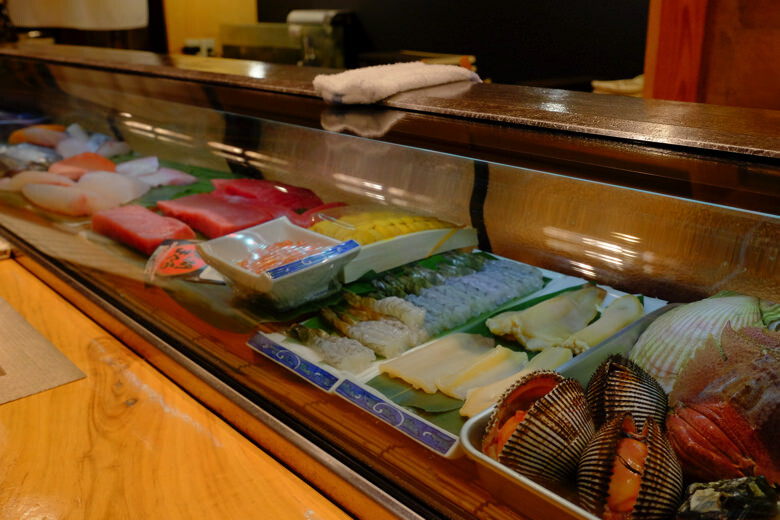 They have the head sushi bar in Tsukiji, Tokyo fish market, and several other locations. It’s a joint venture by the Tsukiji fish supplier who has been in business for 100 years and the sushi chef who has 40 years of experience. 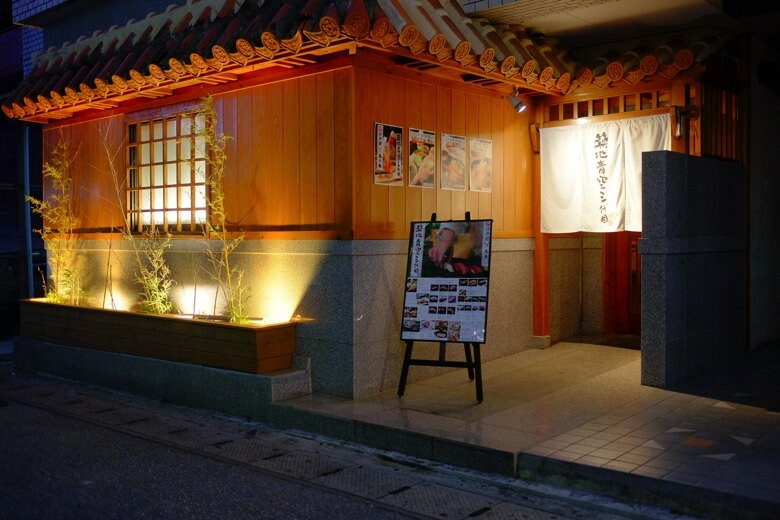 It’s very nice to know a nice authentic Edo-style sushi bar in Okinawa for special occasions. And this was a special occasion. It was our anniversary. We ordered 11 chef’s choice + 1 sushi of your choice. JPY4650. 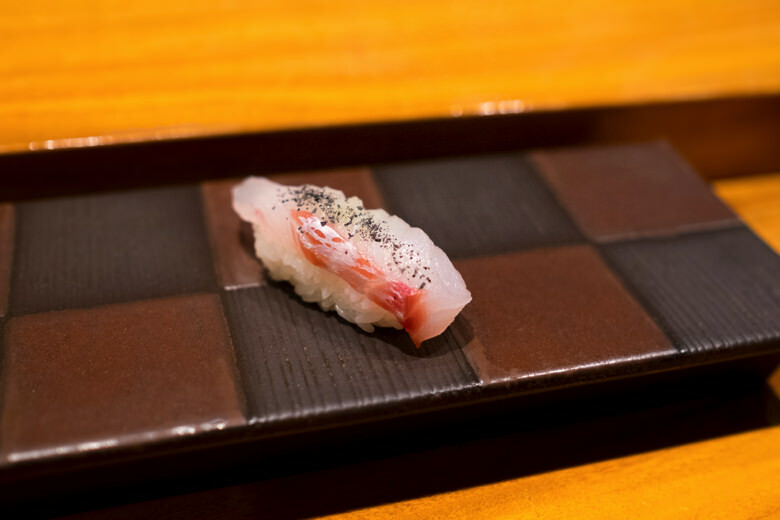 They have sushi course from JPY2400 to JPY6450. 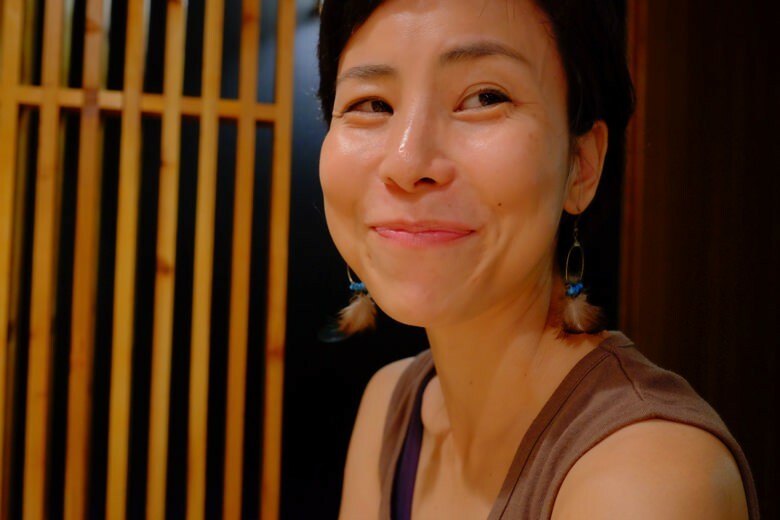 Also Japanese cuisine course from JPY5400 to JPY10800. And lots of a-la-carte. We think it’s very decently priced for their quality. Gari, the pickled ginger, is great. No chemical stuff that stings your tongue. It kicked off with Japanese omelet. 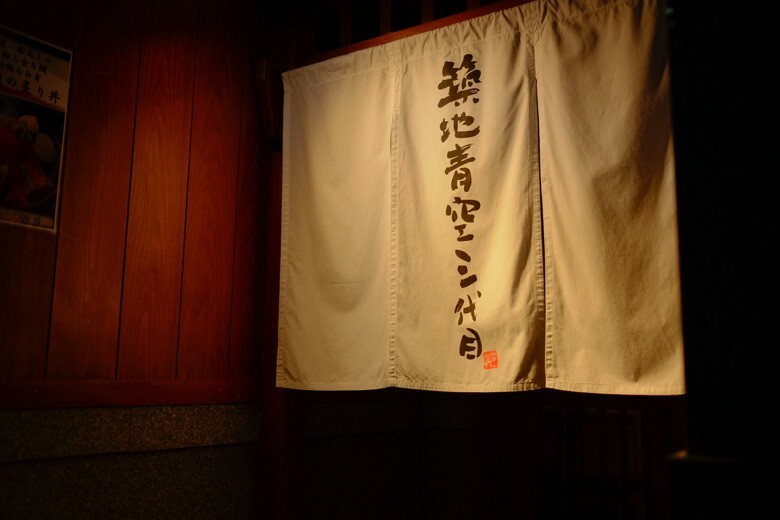 You can tell a lot about how carefully they handle heating and what kind of Dashi, the Japanese broth, they make. Our anticipation was building up. 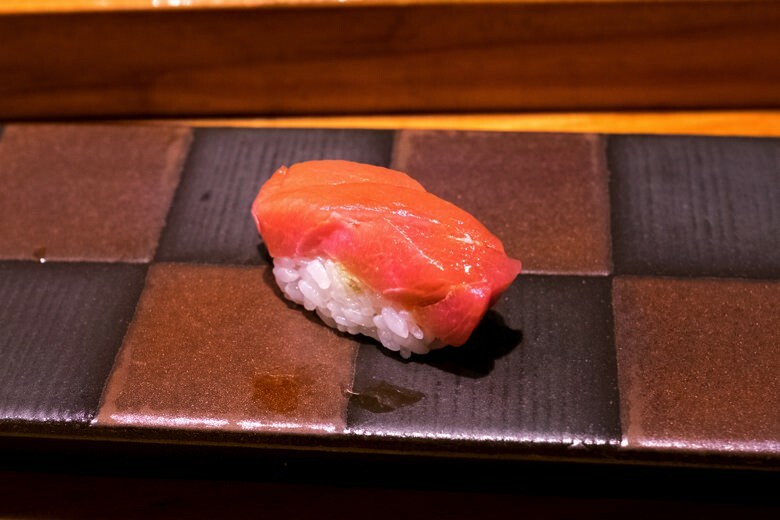 The first sushi was Red Snapper. All the sushi is seasoned when served. 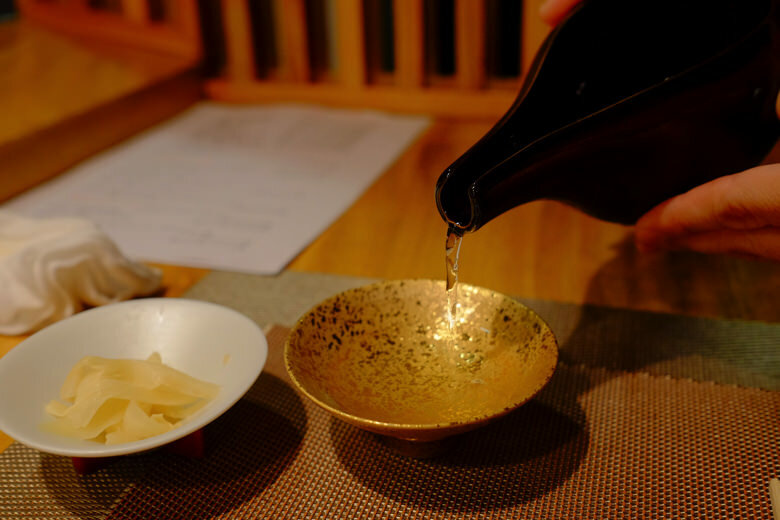 They use Nikiri (seasoned soy sauce), rock salt, seasoned salt, and many kinds of citrus. 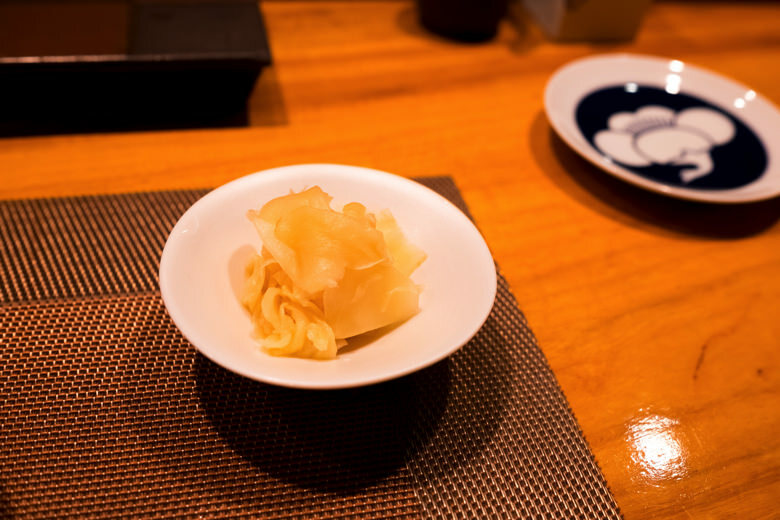 Clam, steamed with Sake. Very well seasoned and cooked. So flavorful. Kuma Ebi, Green Tiger Prawn. A close relative of Japanese Tiger Prawn. Very sweet and tender. No edgy taste. She said it was so rich in refreshing flavor and smelled like white wine. Great match with seafood. 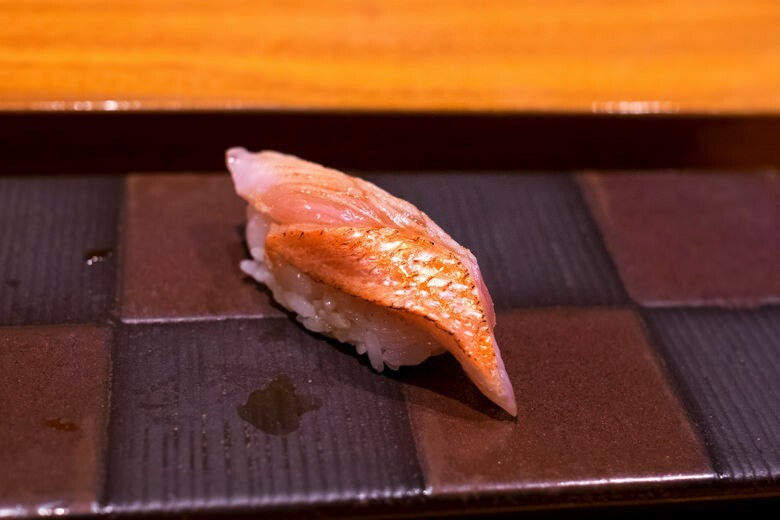 Kinmedai, Splendid alfonsino. Lightly grilled. 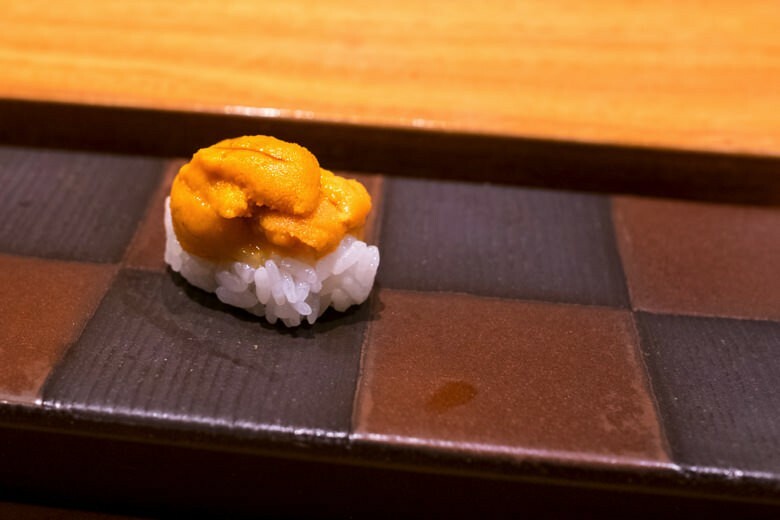 OMG, this one was the sushi of the day. Very rich with unsaturated fats which tastes so light and gentle. The texture is silky and tender. It just melts on your tongue. Tuna, the red. So tasty with such fresh texture. Maybe I’m getting old, but I like the red better than toro (the fatty belly portion) these days. I can go forever on the red, but a few toro would fill me up. But this is the kind of tuna red I’m talking about. 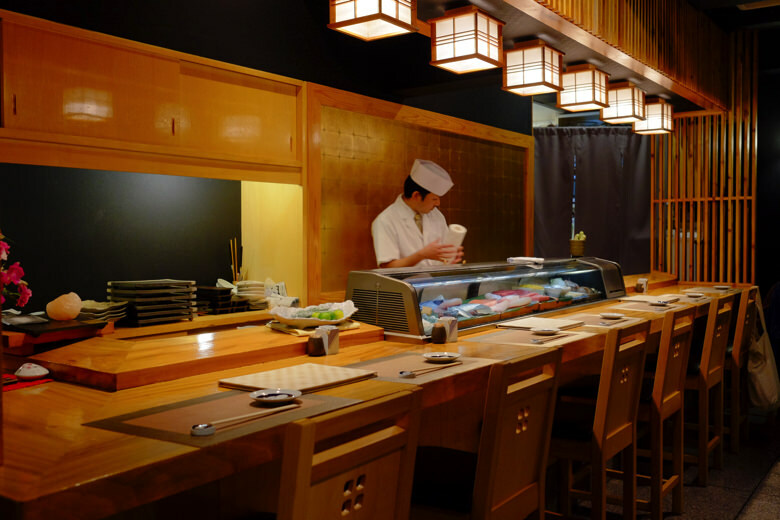 It’s totally different from the one on the sushi wagon or in grocery stores. 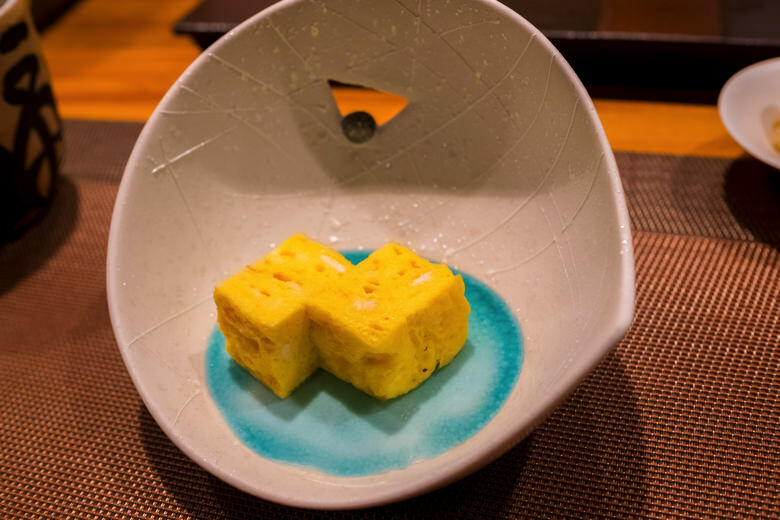 Tenpura Shirako of Pacific Cod. 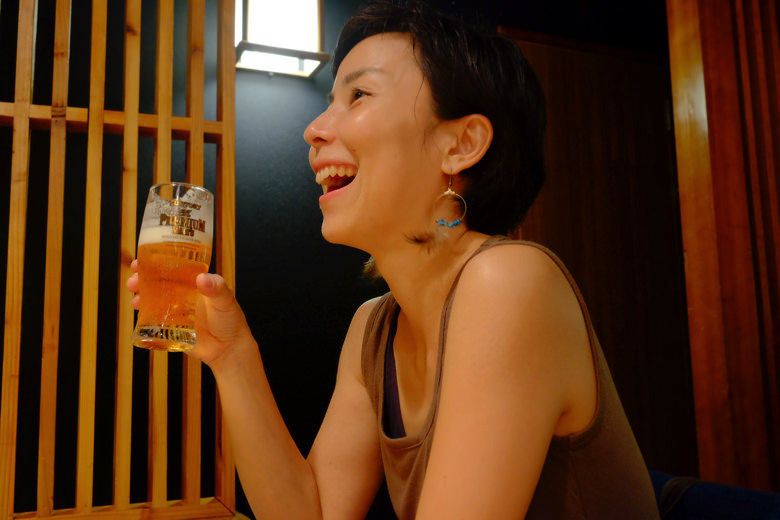 Yuyu couldn’t resist ordering this one which our neighboring customers were ordering. Maybe you don’t want to know what Shirako is. Just enjoy its milky sensation. No fishy edgy taste of any sort. Beautifully prepared and finished. It came with seasoned salt which we thought was excellent. It was roasted salt with sun-dried Pleurogona, or sea squirt. 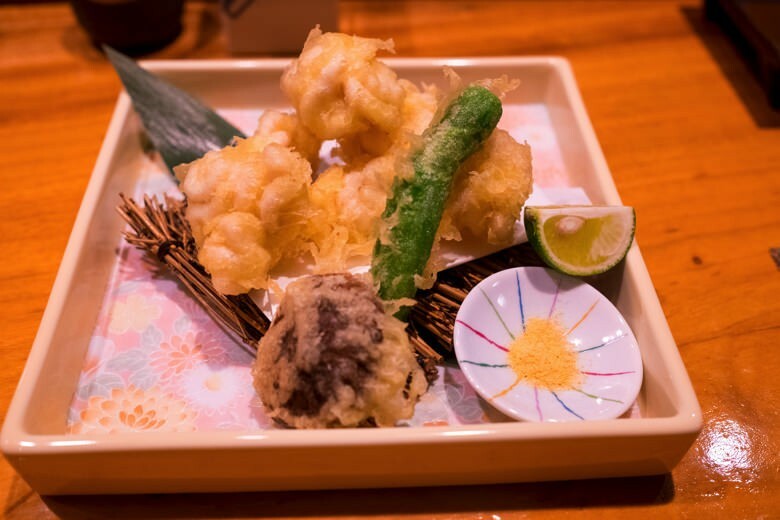 It was so tasty and makes the tenpura even more flavorful. Wild Amberjack. Very delicate but rich taste. This one was aged pretty much. I’m an angler and I know this fish. 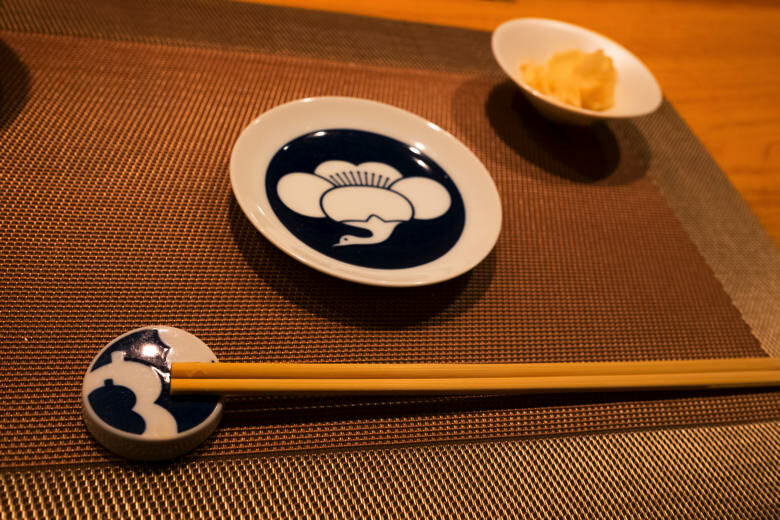 Amberjack changes its property as sashimi drastically. 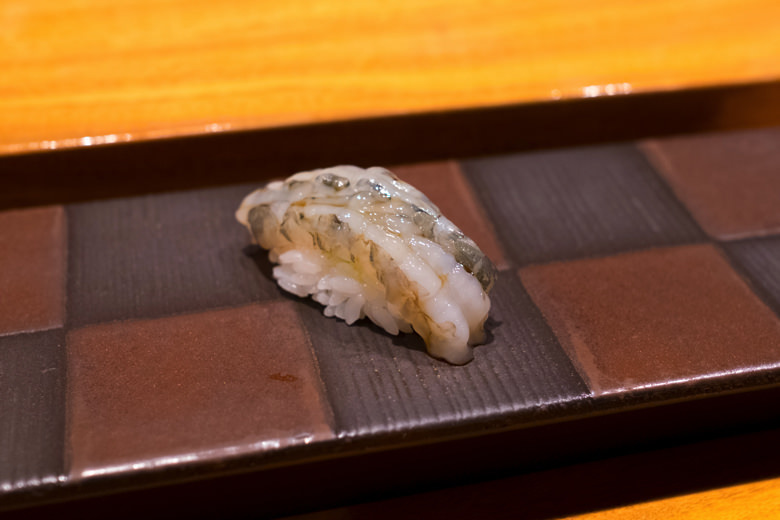 When young, 2 to 3 days after catch, the texture is pretty solid and elastic, and the taste is light and fresh. When aged, 4 to 5 days after catch, the texture becomes mellow and the delicate taste wears rich and sweet flavor. A beautiful piece. Refreshing flavor with a little sweet aftertaste. 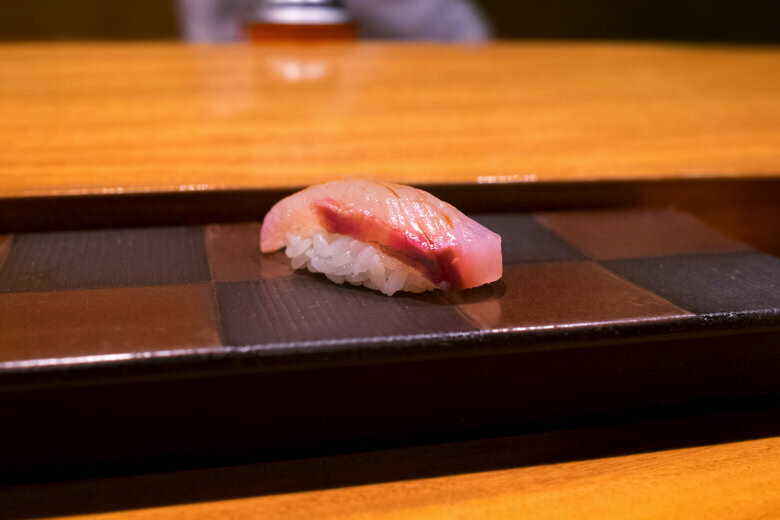 Otoro, the fattest belly portion, of Bluefin Tuna from Oma. If you know Oma, you know tuna. It’s Japan’s No. 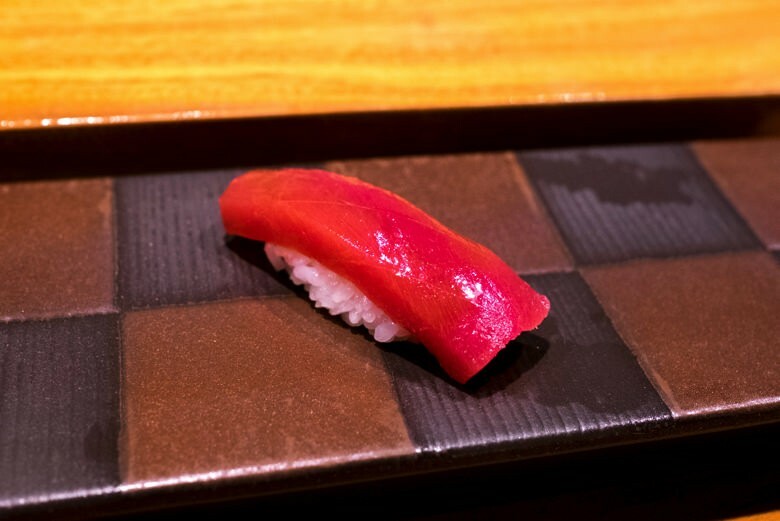 1 tuna port that targets the rough sea between Hokkaido and Aomori. 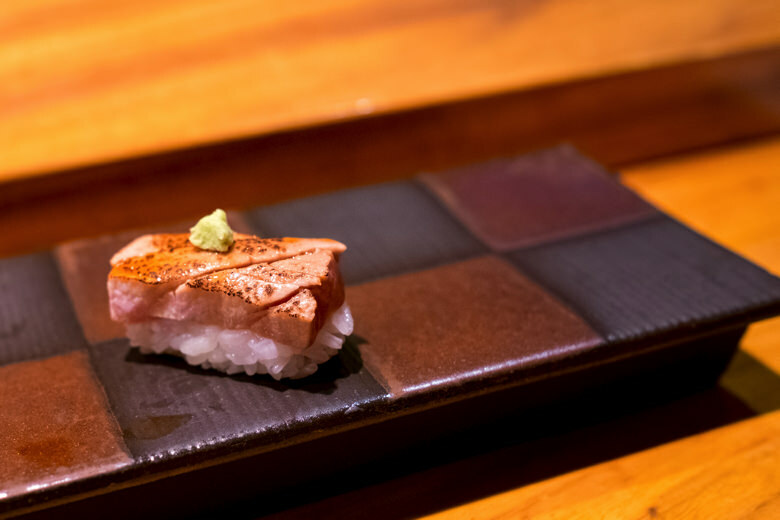 Oma tuna is supposed to be the best and always priced the highest. 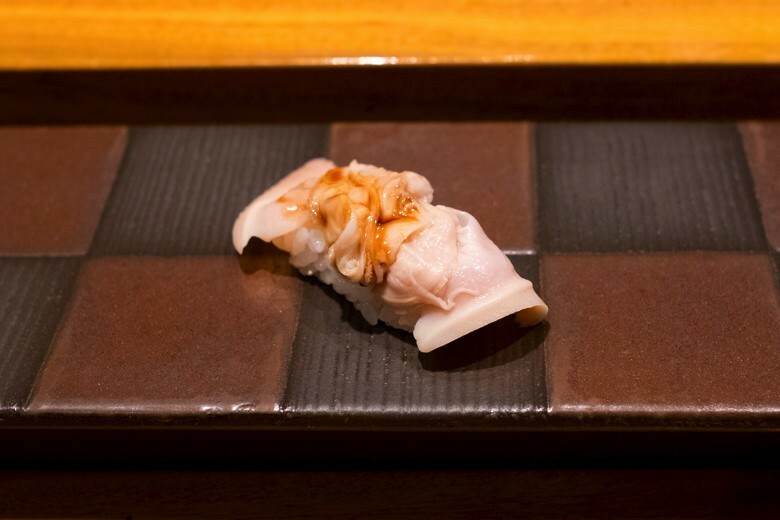 We are still happy with the richness of Otoro. Followed by another fatty piece of all. 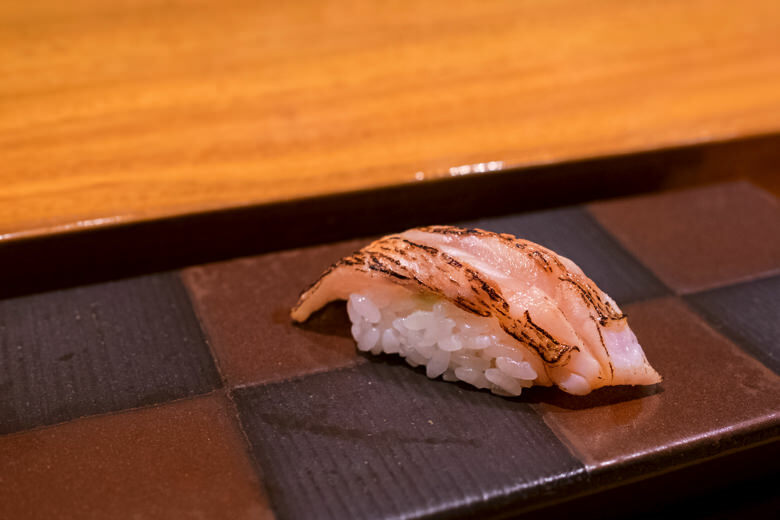 Nodoguro or Akamutsu, blackthroat seaperch. Lightly grilled. This is another high-end piece right here. The texture is fluffy. The fatty taste is very powerful. If I may say the fat of Kinmedai tastes feminine, this one tastes masculine. We felt like we have been pushed up to the edge our happiness. We don’t know what’s beyond. 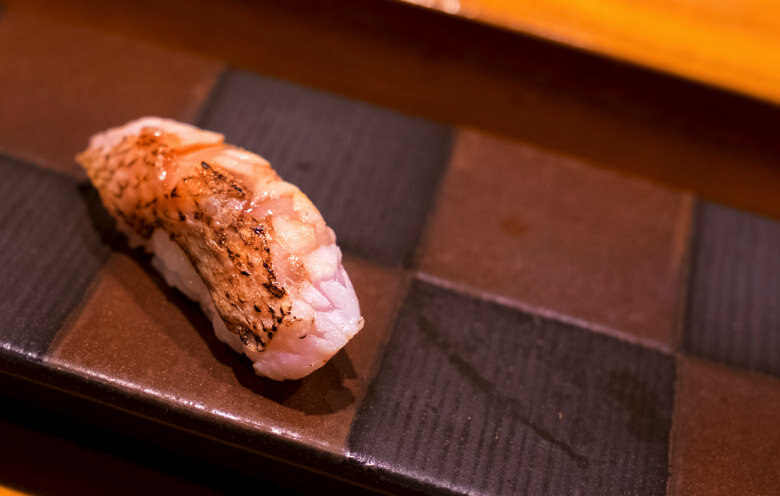 And steamed Anago, Whitespotted conger, with sweet teri sauce to finish. But wait. This course has an extra piece of your choice. You can choose something new from the menu, or choose the one you liked best. 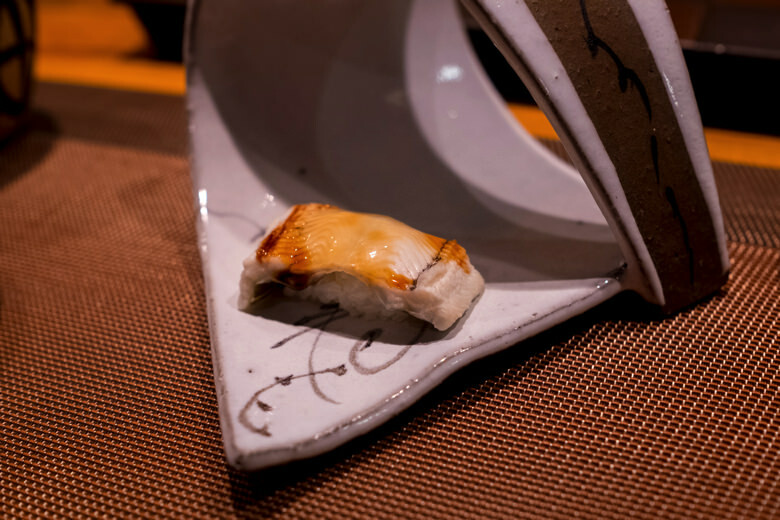 Yuyu chose lightly grilled Otoro of bluefin tuna. 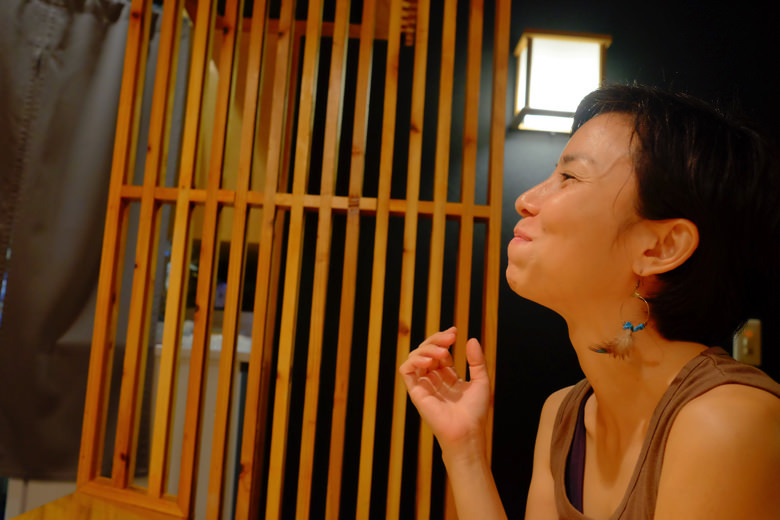 I had a piece of Nodoguro again. Such a yummy dinner. We felt complete for our anniversary.